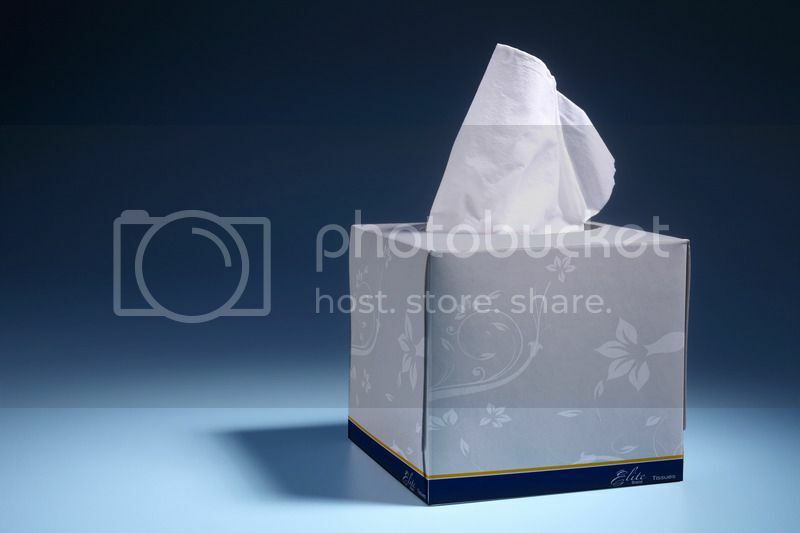 Did you know Cosgrove has their own line of superior-quality facial and toilet tissue? Ask your local Cosgrove Account Manager for more information about Elite Premium Facial & Toilet Tissue today. Cosgrove%u2019s Elite Facial & Toilet Tissues are not only designed to provide superior strength and softness, but are also environmentally preferable by utilizing a minimum of 67% sugarcane fibers and other rapidly renewable resources. Recognized by USDA as a Certified Biobased Product, these products are truly Elite in both quality and performance. 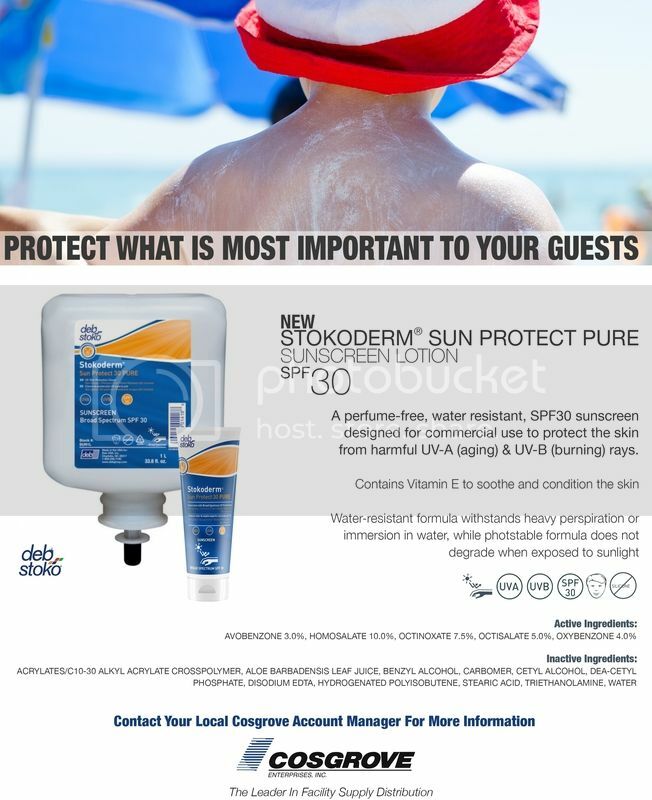 Introducing a new perfume-free, water resistant, SPF30 sunscreen designed for commercial use. Ask your Cosgrove Account Manager for more information and about installing sunscreen stations into your resort facility today. Revolution Bags are the first company to provide EPA-compliant can liners that cost and perform just as well as bags produced with virgin resin. Utilizing an endless supply of post-consumer material from Delta Plastics, Revolution Bags are able to create a complete line of durable, affordable, green can liners that truly are revolutionary. Thumb through our e-booklet below to learn more about this innovative product, and ask your Cosgrove Account Manager about how to get Revolution Bags in your facility. 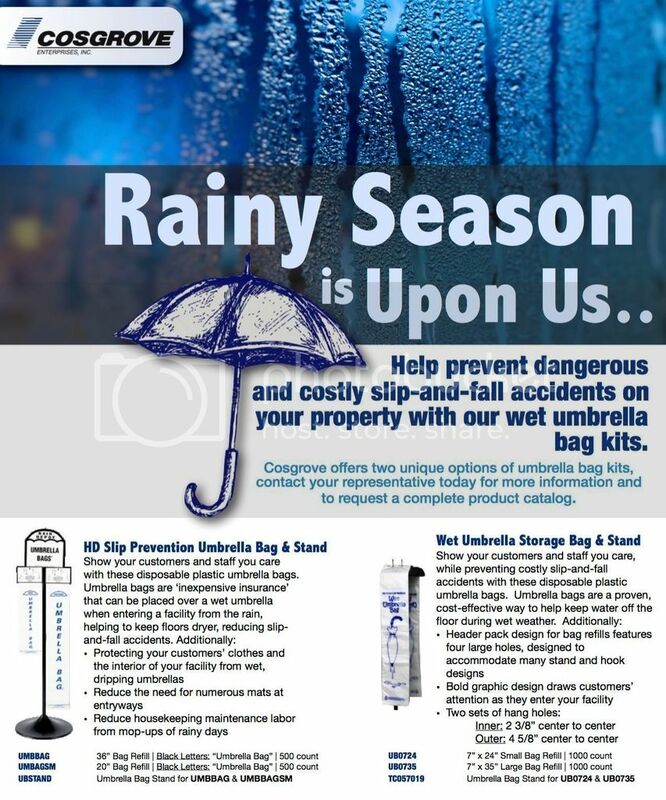 Rainy Season Is Upon Us..
Help prevent disastrous slip-and-fall accidents on your property with Cosgrove's Wet Umbrella Bag Kits & Stands. Contact you local Cosgrove Account Manager for more information and to request a complete product catalog.